George Byford was born on January 1830 at Foxearth, Essex, England. He arrived in Australia on 26 June 1854. Byford married Caroline Tringham on 28 July 1879 at Dunedin, New Zealand, and the couple had five children. Byford died on 23 May 1915 and is buried at Napier Cemetery, New Zealand. 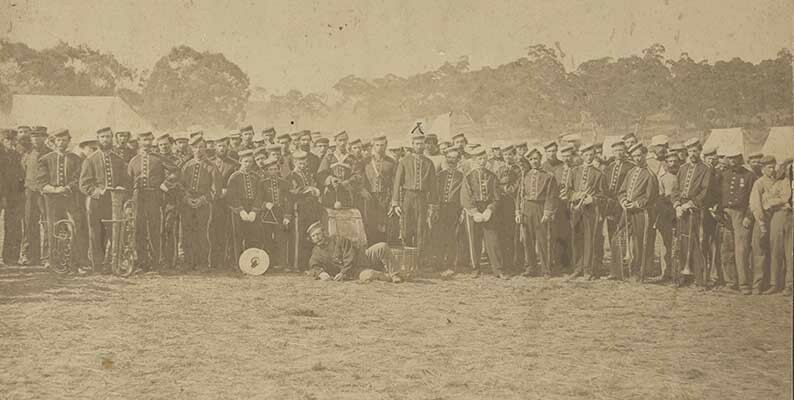 Byford participated in the Eureka battle, and recognised Charles Ferguson as a participant. Byford served at Port Arthur before sailing for New Zealand where he was involved in the Maori Wars, and awarded a good conduct medal and the Maori War Medal. Byford took discharge in New Zealand after serving for 12 years in the Military. He was granted land in the north of New Zealand. This page was last edited on 8 April 2017, at 11:55.